France has produced some of the most famous French musicians in all the world, including both past and present and has thus set the cultural climate in music for the world . Such great classical musicians and composers as Ravel, Saint-Saëns, Debussy and others all hail from France, along with modern greats like the Gipsy Kings and Daft Punk. French music exemplifies the sophisticated and diverse styles of the French people themselves. France contributes much to the cultural scene, especially with regards to music. 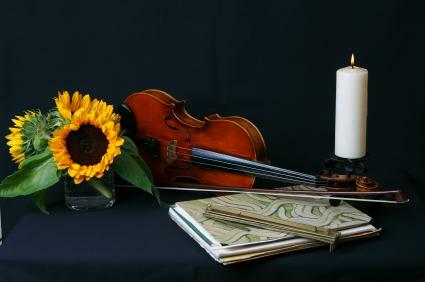 Like French writers and artists, musicians in France are held in high esteem. Throughout the ages, the French patronage of the arts provided support for composers, singers, and musicians. Later, France's love for easy-listening music encouraged greats such as Yves Montand and the Gispy Kings. During the latter half of the 20th century, when musicians such as Elvis Presley and the Beatles were all the rage in England and America, the French remained enamored of an easy-listening style that faded in the 1970's. The late 1970's through the 1980's saw punk rock in France rise to the forefront, followed by progressive rock acts. Today, France's unique music scene provides Francophiles with varied tastes in music with a myriad of choices of singers, songwriters, musicians and more. Charles Camille Saint-Saëns: Parisian-born Charles Camille Saint-Saëns was a famous French composer, organist and pianist. Composing and playing during the tumultuous latter half of the 19th century, Saint-Saens achieved fame mainly for his compositions. His most famous works include Danse Macabre, Sampson and Delilah, and the Carnival of the Animals, a work frequently used to introduce children to classical music. Maurice Ravel: Play the opening notes of Bolero, and almost everyone can begin tapping out the rhythm made famous by Bo Derek in the movie "10". But the work was originally composed by Maurice Ravel, a famous French musician known for his impressionistic style and compositions for the dance. Ravel's style was heavily influenced by the impressionist movement, and by the works of fellow French musician and composer, Claude Debussy. Ravel wrote numerous works for orchestra, the ballet, and piano. You can learn more about Ravel at Biography.com. Claude Debussy: Pianist and composer Claude Debussy's beloved works include La Mer (The Sea) and many compositions for piano. His work was heavily influenced by cross-cultural music, including Javanese music. He experimented with many musical scales to create lush tone poems that evoked moods more clearly than anything that had come before him. Debussy influenced other French musicians of the time, including Ravel, and is much loved as a great Classical French musician and composer. For more on Debussy, including samples of his music, visit Encyclopedia Britannica Online. Popular French musicians today include groups such as the Gipsy Kings and Daft Punk, jazz violinist Stephane Grapelli, and singer/actors Yves Montand and Vanessa Paradis. The Gipsy Kings gained worldwide fame through their unique blend of flamenco and rumba music. Infused with the sounds of the Catalonia and the coastal regions of France, their music combines the best dance rhythms. Rumba, flamenco, salsa and other beats fuel their addictive sound. Daft Punk creates French 'house' style music. The group consists of two men, Guy-Manuel de Homem-Cristo and Thomas Bangalter. They're especially noted for great music videos with creative and original effects. Their skills in electronic music may be unparalleled. Listen to samples of their music at Last. Beloved by jazz aficionados worldwide, Stephane Grapelli's astounding virtuoso violin work, whether accompanied by other strings or on its own, provides brilliant jazz sound. His 1997 Grammy win came right before the artist's death and many thought it was long overdue. He played in many jazz bands, and his strong style is unmistakable. France has a number of actors who are also musicians. During much of the 20th century, singer and actor Yves Montand entertained millions with his easy-listening style recordings and handsome movie star looks on the big screen. He often played the role of a working class man who triumphs over evil. Today, actor Vanessa Paradis occupies a similar spot in popular culture. Like America's Britney Spears, Paradis demonstrated precocious talent, becoming internationally famous at age 14 for her song, "Joe le Taxi". Paradis lives with actor Johnny Depp and their two children in Paris. The list here includes only a small handful of famous French musicians. Visit any of the following websites for more information on French music and musicians and for some of the most famous French songs. Wikipedia's encyclopedia of French musicians spans many genres and historical periods. A full list of French classical composers and musicians may be found on Music Composers. The Culture Trip offers an interesting article on 10 French Musicians Everyone Needs to Know.